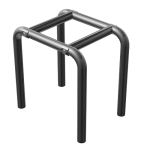 UnoLiner RollOver benches are the absolute lowest. 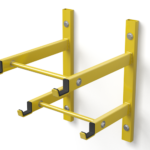 No bench angling or pulling winch work needed thus saving time and energy. 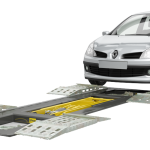 The car just simply rolls over the UnoLiner bench frame machine. No chassis straightening work to be done? 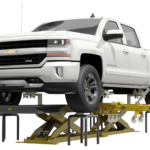 The UnoLiner Roll-Over Bench Lift is flexible and multi-functional and therefore always in use for other collision repair work. 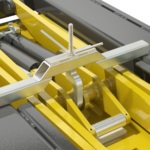 This flexibility gives maximum practical, real and effective work space in your workshop. Useful option! 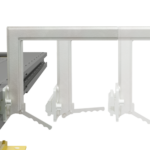 all UnoLiner benches can also be placed in-Ground. 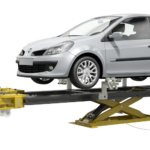 UnoLiner car chassis and collision repair equipment assures a perfect work situation and flexibility not achieved by most other car chassis straightening and machine frame systems. 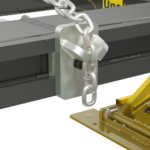 Contact your UnoLiner dealer or email us at info@unoliner.com for all information.